This is posted over at the CSB: Crime Scene Blog, but I wanted to repost it here. 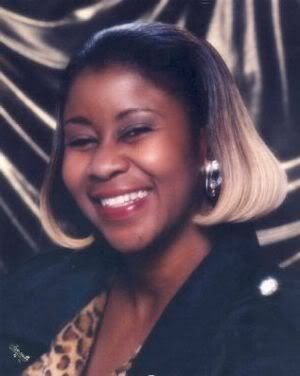 Gloria Walker has been missing since May 20, 2007. Someone has to know where she is. Gloria Walker, 46, disappeared from Cleveland’s eastside three months ago. Saturday, Walker’s family received a helping hand, from 1,100 miles away. County, took on Walker’s case. tracks. They looked for any sign of Gloria Walker. Richard Johnson saw a missing person’s flier in his neighbor and decided to help out. people in the more than 700 cases they’ve taken on. missing, five days after neighbors last saw her. That car was found two weeks later in the Harvard/Fleet area of Cleveland, only three miles from her house. Greg Washington, who said he fathered a son with Walker, was thankful for Miller’s expertise. Even though Saturday’s searchers did not find Walker, Washington said the search encouraged him. Joshua may still be in the local area. His front tooth is chipped. Joshua's nickname is Josh. Sorry for the lag, but I've been swamped. However, I've put out the call for more help and so far so good. So more to come. However, in the meantime click over to the Black and Missing blog because she's doing great work. 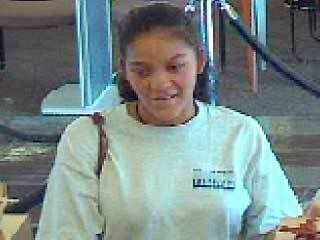 Ohio police issued missing person alert Thursday for a pregnant woman who disappeared from a bank on Oct. 2. 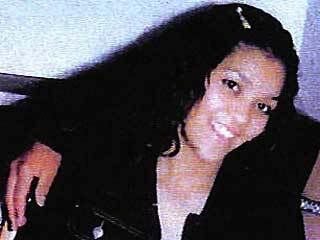 Olivia Maricela Soriano-Almendaris, 20, of Columbus, Ohio, is nine months pregnant and vanished on the same day she was due to give birth, according to the release from the Columbus Division of Police. Soriano-Almendaris is 5-feet, 6-inches tall, weighs 150 pounds and has black hair and brown eyes. She was last seen wearing green pants, a white T-shirt and a gray sweater, police said. Authorities believe she may have been driving a black 1995 Ford Explorer with Ohio license plate number DZW-7021. Anyone with information is asked to call the missing persons unit of the department's special victims bureau at 614-645-2358. CHICAGO -- A North Side mother is asking for the public's help in finding her missing teenager. 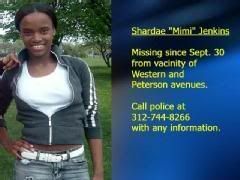 Shardae "Mimi" Jenkins, 13, left the home she shares with her mother near Peterson and Western avenues on Saturday night and has not been seen since. Her mother said that the girl may be with a boyfriend who is known to the mother only as "Outlaw." She described him as a black man between 17 and 21 years old. Shardae was last seen wearing a white shirt with dollar signs on it and blue jeans. Her mother described her as being 5 feet 4 inches tall and about 104 pounds. She is a light-skinned black girl, with brown hair and brown eyes. Anyone with information is asked to call the Chicago Police Department's Area 3 Special Victims Unit at 312-744-8266. 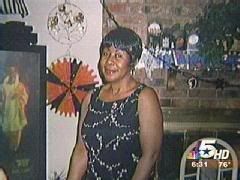 There's new information concerning the search for a Fort Worth grandmother who has been missing for nearly a week. According to police, Glenda Furch's burned-out car was found in Dallas Thursday morning. Furch's daughters have been holding vigil at their mother's Fort Worth apartment. The girls said they were hoping their 51-year-old mother would come back safe and sound. Furch's daughter Shimon is begging the public for help. "We just need to know what happened. So if anybody knows anything we just plead to the community... today it's me, tomorrow it could be you. Just to the community, just to get involved and if you know anything just call the police and let them know." The women broke down in tears when they learned about the discovery of the vehicle. Furch has not been seen since she left her job at the General Motors plant in Arlington around midnight on Friday. Police have been looking for her and her 1998 4-door gold/champagne colored Mazda Millenia ever since. Early Wednesday morning firefighters in southeast Dallas found a car on fire at an abandoned car wash near Hatcher and Military Parkway. After tracing the cars identification numbers, investigators confirmed Thursday that the vehicle is Furch's. Investigators with the Fort Worth Police Department say the discovery of the car is a significant development. "That's one less thing that we have to focus efforts on – finding the car," says FWPD Spokesman Lt. Dean Sullivan. "Now we have to find out who's responsible for setting it on fire, determine whether or not there's any involvement." Fort Worth homicide detectives and crime scene investigators spent part of the day in Dallas looking for evidence in or on Furch's car and checking out the area where it was found. "Really still, at this point even though we suspect foul play, we haven't concluded exactly that there's any crime that's been committed. Of course worst case scenario, if it does determine that we locate her in peril or some otherwise means of course we'll have to start working on developing suspects," Sullivan said. Furch's co-workers from the Arlington GM plant are planning a candle light vigil for her on Saturday. This is a news piece from May 2006, but I notice that it's still very much the case. I pull a lot of the missing children from the National Center for Missing & Exploited Children website. I notice that the numbers of missing black children is huge. I noticed because you can run searches based on race. I almost always search for the most recent cases, so I run searches for case where the child has been missing for a month or less. I always get a page full of faces of missing black kids, but from time to time no results for minority children of other races. Of course, I wish for no results at all, but it's profoundly disturbing to see how many kids who look like me go missing on a monthly basis. An interesting article by Mary Mitchell at the Chicago Sun-Times discussing how the crusade to find Nailah was different from other cases of missing black women. The relatives of Nailah Franklin are living a family's worst nightmare. Last Friday, an unclothed body that was discovered in the Calumet Woods was identified as the 28-year-old Franklin. With her fashion model looks, Franklin has been described as the "star" of her close-knit family. 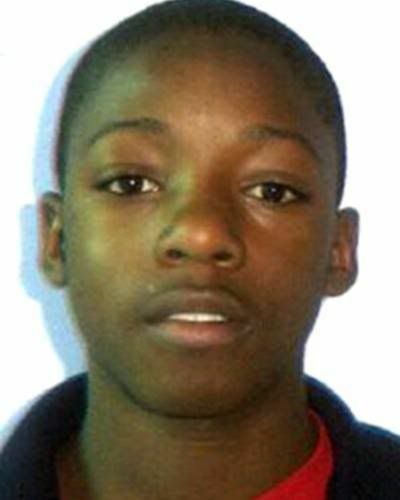 Franklin was reported missing Sept. 19. Like most parents, I worry about my adult daughters because, unfortunately, there is too much mayhem in the world. I don't think my family is much different from a lot of others. And while every missing person is neither pretty or even lovable, if someone we love goes missing, we want police to turn over every stone. We want our friends and our neighbors to fan out across the city and join in the search. We want that person's face plastered on national news programs as well as in the local papers. Yet, too often when young black women disappear, none of those things happen without the family waging a crusade. These relatives have to scuffle to get alerts posted, and when the police department distributes the alert, it is still a fight to get the notice in a newspaper. Franklin's disappearance didn't follow that pattern for several reasons. First, she was a very attractive black woman who came from a middle-class background. As such, her disappearance didn't get typecast as a throwaway. Franklin wasn't seen in the same light as the troubled black women who walked the streets in neighborhoods like Roseland and Englewood and ended up being found dead in abandoned buildings without anyone knowing they were missing. Neither was Franklin's disappearance viewed in the same way as law enforcement views the average teenage runaway. Although many of the parents and guardians of these young people do their best to get media attention, their pleas are routinely ignored. And while police will pick up runaways if they happen to bump into them, they don't make it a priority to locate teens who bolt from their homes. Franklin's relatives and friends made sure her plight was not ignored. Her sister, Lehia Franklin Acox, used her media contacts to ensure that photographs of her missing sister were widely circulated. For consecutive days, Nailah's beautiful smile graced the front pages, while updates of the search aired regularly on national news programs. This is a significant change from just four years ago. 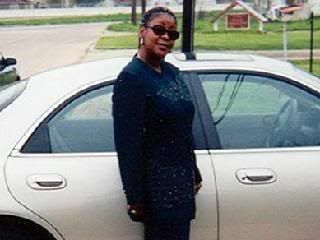 When Nancie Walker, a Chicago businesswoman, disappeared in 2003, her family and friends had to pressure the Chicago Police Department to investigate the disappearance as a possible abduction even though Walker was not known to take off without letting anyone know of her whereabouts. Three months after vanishing, Walker's dismembered body was found in plastic bags. No one has been charged with that crime. The way Nailah Franklin's disappearance was handled -- not just by the police but by the media -- shows that black families now are more aggressive about getting the media's help. Because of the Franklin family's efforts, I saw the face of Nailah Franklin so often, I began to feel as if I knew her. And just as the faces of two other missing persons -- Laci Peterson and Natalee Holloway -- were etched into our consciousness through media exposure, by the time Franklin's body was found 10 days after she disappeared, many of us were genuinely moved by the tragedy. It is a tragedy, but also a blessing that Franklin has been humanized in a way that so many missing black women have not been. From her sisters, we learned that Franklin was someone who brought incredible joy to their lives. From her employers, we learned that the young professional was so well-respected in the workplace that her unscheduled absence was cause for alarm. During days of waiting, we learned that Franklin had a spiritual family, that she had career goals and that she was a real role model for her younger relatives. Nailah Franklin's family made sure there would be no presumptions. People who loved Franklin made sure that her disappearance wouldn't be dismissed as just another act of random violence. No missing person should get less than that.